Theresa Budnik Combs is a creative. The first couple of spreads feature the athletes/guides/whoever they sponsor along with a family member or two all sporting their down. 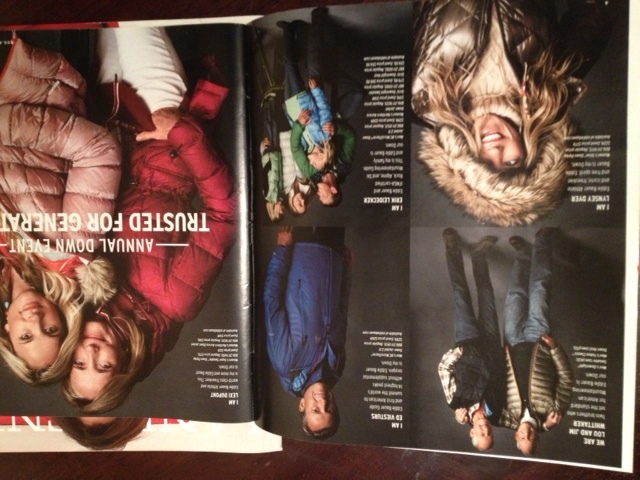 It warms the heart to see the faces of the metaphorical Eddie Bauer family. 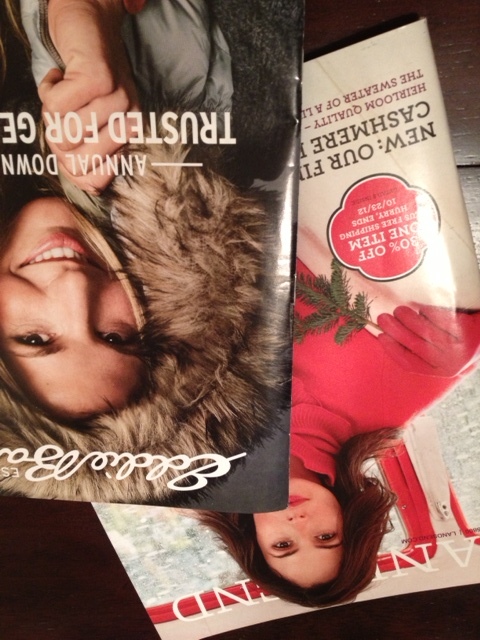 It’s this personal touch that will have me settling in with a catalog instead of just doing a quick flip and toss. Love, love, love the play on words! 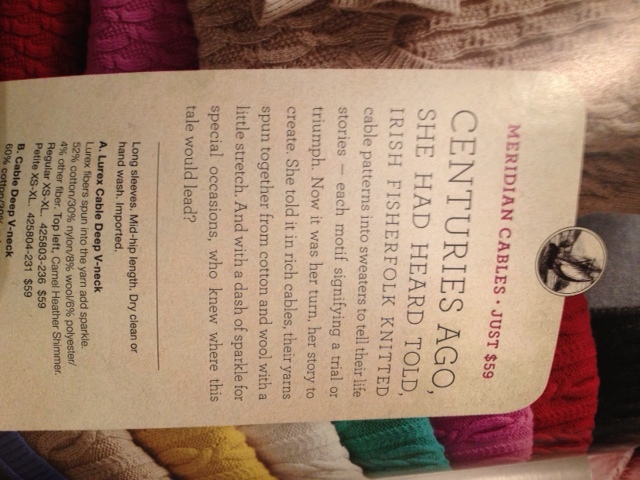 “Irish Fisherfolk?” Seriously? I’d PAY any client/employer of mine if I could use that! 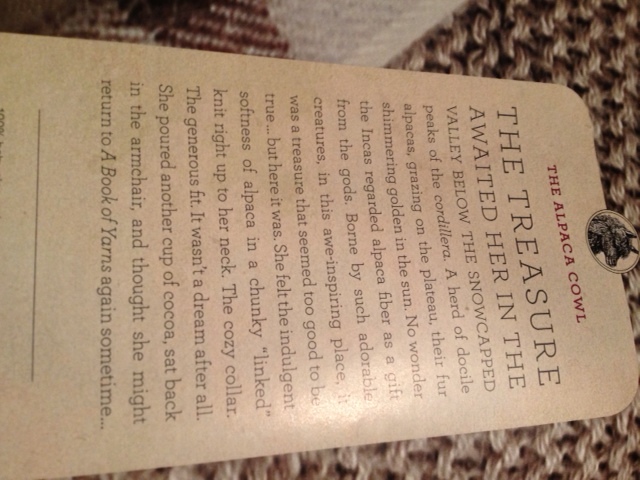 “…docile alpacas, grazing on the plateau…” Sigh, take me away! 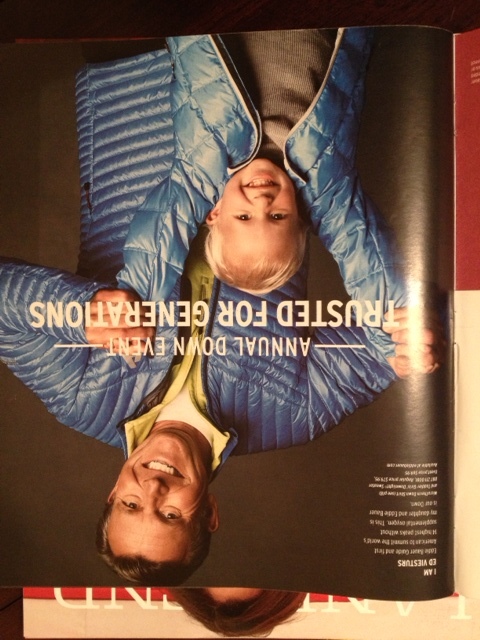 Who does Lands’ End think they are? J. Peterman? 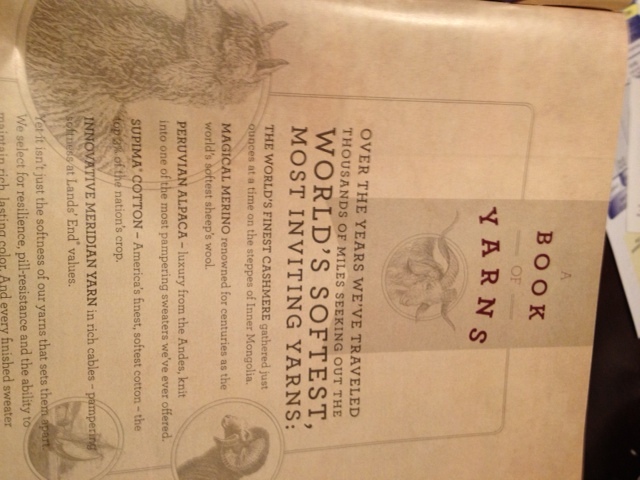 Well, maybe they’re not quite there, but I did appreciate the writing in this catalog. Keep up the good work, Eddie & Lands’! © Theresa Budnik Combs and Theresa Budnik Combs is a Writer, 2011-2017. Unauthorized use and/or duplication of this material without express and written permission from this site’s author and/or owner is strictly prohibited. Excerpts and links may be used, provided that permission is granted (ask me!) and full and clear credit is given to Theresa Budnik Combs and Theresa Budnik Combs is a Writer with appropriate and specific direction to the original content.